James Goodale is an attorney with an extraordinary career. Among his career achievements his most notable courtroom victory was before the United States Supreme Court when he defended a journalist’s First Amendment Right. Goodale chronicles the exhilarating trial in his most recent book: “Fighting for the Press: The Inside Story of the Pentagon Papers and Other Battles.” Early last month I posted my review of the book. I was honored (and still I’m) to have received a copy of the book before it’s early May release. I highly recommend reading the book. Goodale recently posted an article on the Daily Beast in which he calls for U.S. Attorney General Eric Holder to resign. Goodale believes Holder should resign over the James Rosen case. 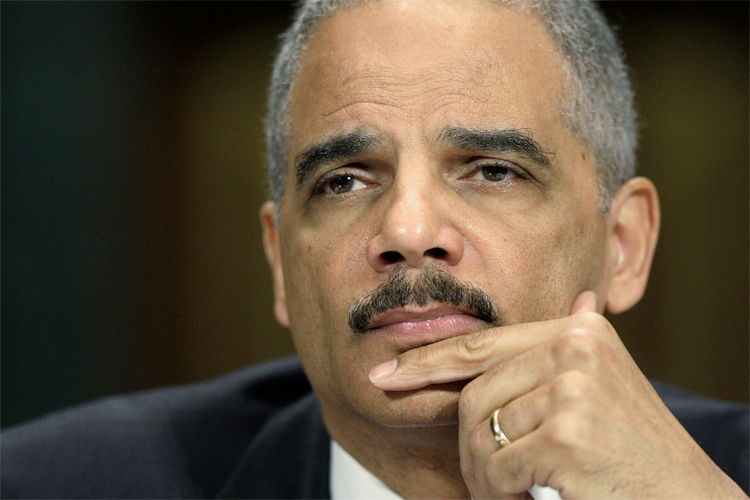 Holder signed off on a search warrant which in essence treated James Rosen, a FOX News reporter, as a criminal. Stephen Jin-Woo Kim, a State Department adviser, leaked to Rosen information about North Korea’s nuclear plans. Rosen is under investigation under the Espionage Act. The government believes (at least they implied by investigating the reporter) that Rosen committed a crime of mal-intent. However, the act should only be considered for the leaker and not the reporter who obtained the classified information. As Goodale asserts: “The reason the Espionage Act does not apply to Rosen is that it does not apply to those who publish (or broadcast) information leaked to them.” In the affidavit for a search warrant the U.S. government asserts the notion that Rosen cajoled the classified information so as to commit espionage. What’s disturbing is the fact that Rosen only implemented customary news-journalism tactics to obtain “scoops.” At what point did it become illegal for journalists to do their job? I agree with Goodale’s assertion that the government is virtually criminalizing the news-gathering process. This assertion is not only an accurate depiction of current affairs, but depicts a terribly troubling future. Our journalists should not be threatened with imprisonment because of doing their job. I hope the James Rosen case garners more publicity. If Holder’s precedent becomes permanent then journalism as we know it will forever be changed. Do you think the fact Rosen works for FOX News had anything do with the case? A great question. I wish people *did* understand that getting information, especially information being kept from the public, *is* our job.